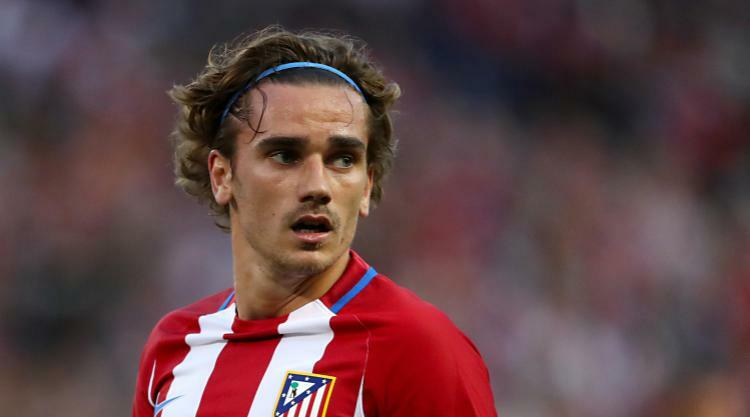 Antoine Griezmann will demand £400,000 a week to join Manchester United in favour of Barcelona, the Sun reports. The paper says the Atletico Madrid striker has been lined up in an £89million deal to join the Red Devils next summer, but that the club have been told their initial offer of £290,000 a week is short of what the 26-year-old wants. Liverpool are ready to make a move for Monaco star Thomas Lemar as a replacement for Philippe Coutinho, according to the Mirror. The paper says Monaco are making it clear they do not want to sell Lemar, but that Liverpool are ready to test their resolve given any encouragement. However, Sky Sports reports that Liverpool's decision to allow Coutinho to join Barcelona will not bring forward any possible move for Lemar. The Mirror also reports that Liverpool are prepared to use some of the record £142million windfall from Coutinho's move to Barcelona to bring Naby Keita to Anfield early. The side agreed a £55million deal for the midfielder with RB Leipzig in the summer, and the Guinea international was due to spend this season on loan at the Bundesliga side. But the paper says Liverpool are considering paying a premium on top of the fee to bring him in during the January transfer window instead. Real Madrid are reportedly looking at Cheslea duo Eden Hazard and Thibaut Courtois as transfer targets this summer. According to Sky Sports, the pair have regularly been linked with Real but are now top of the Spanish champions' shopping lists. Chelsea's Jake Clarke-Salter is poised to complete a loan move to Sunderland, the Daily Mail reports. The paper says the defender, who has been highly-rated at Stamford Bridge, has caught the eye of several Championship clubs, but has been convinced to make the move to Sunderland for a relegation scrap. Ben Wilmot: Liverpool and Arsenal are said to be eyeing up the 18-year-old defender. The Daily Mail reports that scouts for the two sides were watching him as he impressed for Stevenage in their draw against Reading on Saturday. Karl Toko Ekambi: Brighton are battling West Brom and arch-rivals Crystal Palace for the £12m rated Cameroon striker, the Mirror claims. Seagulls boss Chris Hughton is said to be keen to tie up a deal for the 25-year-old, who plays for French side Angers.